Massachusetts legislators still have time to make progress on clean energy. Photo Credit: Creative Commons. While Massachusetts has made solid progress on clean energy, much work remains if we want to protect our families and businesses from the devastating effects of climate change. The magnitude of the transition before us – moving to virtually 100 percent clean energy in every sector of our economy – allows no rest or time off. It demands steady progress year after year through 2050 and beyond. Plus, the sooner we act, the more we have to gain. By passing a strong energy bill before the legislative session closes at the end of the month, our legislature would send clear, long-term signals to the market that Massachusetts is open for investment in clean energy. And by doing so, we can minimize electricity costs to families and businesses and maximize local job creation, both today and into the future. Two years ago, the Massachusetts legislature took bold action to address the climate emergency. 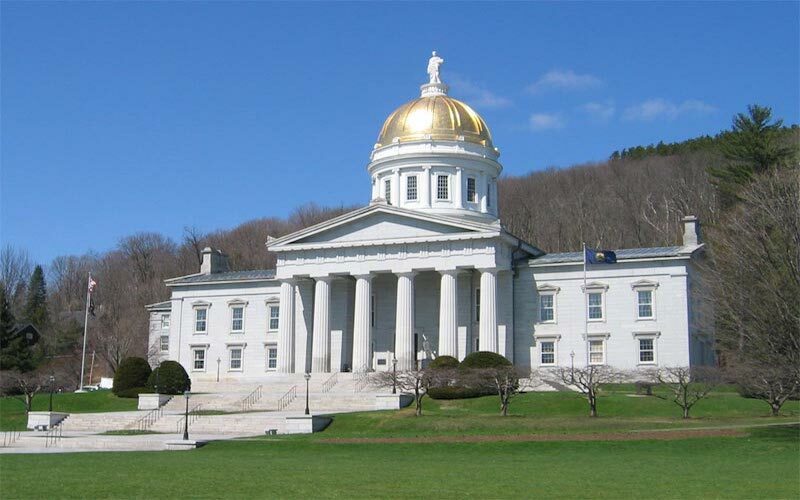 By passing the Energy Diversity Act of 2016, the legislature sent a message to the world that the Commonwealth’s future will be dominated by renewable energy like offshore wind, and the local jobs that come with it. With just days left in Massachusetts’s current legislative session, it is time for the legislature to lead again. The Senate has passed a clean energy bill, “An Act to promote a clean energy future,” that plainly recognizes that imperative. (We wrote about an earlier version of the bill here.) This bill would send the necessary market signals to help improve our clean energy economy and fight climate change. It would also outline a clear path to reach our 2050 goals to drastically cut carbon pollution. The House also took a step forward on energy, though a much smaller one. They passed a few bills that together show promise, such as a modest increase in the state’s Renewable Portfolio Standard. This would increase the amount of clean energy utilities are required to purchase every year, bringing more local jobs and investment dollars to our state. But for these – or any other important clean energy policies in play this session – to become law, the House and the Senate must move forward in tandem. They must work together to develop a strong compromise bill that will ensure we continue to make forward progress on clean energy. Two key things should drive that clean energy bill compromise. Both are crucial for creating the clean energy future we want. The first is the Clean Energy Roadmap bill we wrote about here, key parts of which are included in the Senate’s bill, but not the House’s. It would require detailed but commonsense planning for what we’ll do each year to achieve our 2050 goals for cutting carbon emissions. It will also set practical milestones to make sure we stay on track and put in place new safeguards to protect vulnerable communities and our workforce as we continue our clean energy transition. Increase the state’s Renewable Portfolio Standard to 3%. This will bring more jobs and investment dollars to Massachusetts. Lift the caps on solar net metering, and restore incentives for community shared solar and low-income solar. Solar is one of the biggest drivers of new jobs in Massachusetts, so supporting solar power will help boost our state economy. Take the next step in planning to meet our Global Warming Solutions Act requirements by setting strong emissions limits for 2030 and 2040 and mandating a roadmap to meet those limits. This will help us meet our 2050 goal for reduced carbon pollution, which helps protect us all from climate change. Let them know how important these issues are to you and how much you appreciate them stepping up to keep us moving forward. Passing a strong clean energy bill before the end of this year’s legislative session would be a good step forward on our path to protecting Massachusetts families and businesses from the worst effects of climate change. We can’t afford to wait.